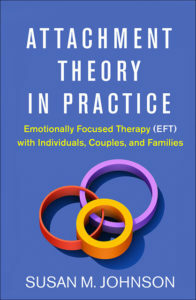 Emotionally Focused Therapy (EFT) is based on attachment theory, which says that humans are hardwired for strong emotional bonds in relationships. EFT states that relationship problems happen when couples have experienced emotional disconnection with their partner at key moments which then leads to struggles. These struggles turn into cycles which become hard to break out of. EFT then assists couples to get past these cycles, to re-connect, and to build a secure relationship bond together. 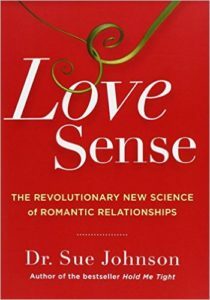 Empirical research shows that emotions drive everything, especially in our relationships. Emotions are the reasons we are happy or sad, or feeling stuck in our relationships. If your relationship requires nurturing support, professional care, and change, you are in the right place. Emotionally Focused Therapy provides its therapists and clients with research based tools to allow partners in relationships to begin to feel connected and safe through secure attachment. The Irish Centre for Emotionally Focused Therapy is a community of mental health professionals trained in Emotionally Focused Therapy as developed by Dr. Susan Johnson. As EFT therapists we recognise and are motivated by the efficacy of scientific research and clinical experience which continually validates the necessity for the growth of positive and intimate relationships as a vital resource to the health and well being of individuals, couples, families and our communities. We are committed to generating a secure and supportive base of well trained EFT therapists in both Southern and Northern Ireland. Provide high standards in EFT training for those new to EFT and opportunities for the more experienced therapists to refine and master their EFT therapy skills and learning. Offer both individual and group EFT supervision. Encourage and support therapists in their growth towards EFT Certification. With the intention of ‘togetherness’, cultivate community days and peer support opportunities which strengthen and enrich our Irish network of EFT therapists with the care and attentiveness we wish for our clients. Raise public awareness of EFT and the benefits of working on relationships. Provide EFT workshops which foster relational growth and awareness. 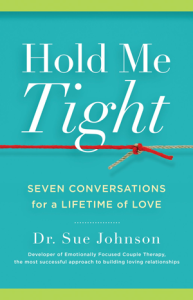 The New book by Susan M. Johnson. Our EFT Ireland Community is affiliated with the International Centre for Excellence in Emotionally Focused Therapy.